Vinyl construction with a dense, blow-mold composite plastic. Locks and accessories of high quality. Design of a compact case for documents. Foam profile compartments for microphones. External dimensions: 15.5 “x 11.0” x 4.0 “. 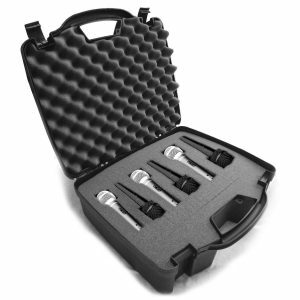 A case for storing and transporting wireless microphones. 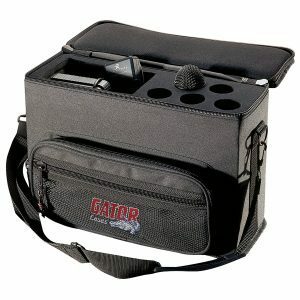 Holds 6 microphones and has 6 battery compartments. Strong design protects against impacts and falls. Reliable locks and ergonomic molded handles. Dimensions Internal: LxWxH – 18 х 14.75 х 5.5 inches. Dimensions External: LxWxH – 15 x 6 x 9 inches. 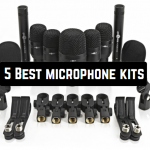 The maximum size of the microphone is 10.25″ long & 2.25″ deep. 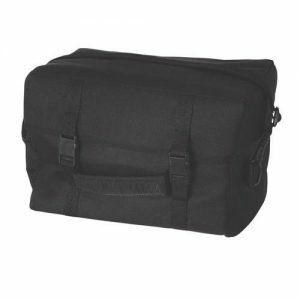 On Stage MB7006 – is a bag for 6 microphones, nylon. Fully sewn bag for 6 microphones. Internal volumes fully correspond to typical models of hand-held microphones, there is a compartment for cables and holders. Foam spacers inside protect both from external influences, and from unwanted contact of microphones with each other. There is a separate pocket with a “zipper” for additional accessories. The carrying handle and the shoulder strap can be unfastened if necessary. Type: bag for 6 microphones. Materials: nylon, cotton, foam rubber. Dimensions: 16 x 9 x 12 inches. 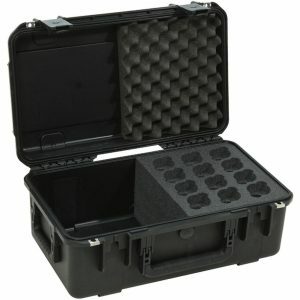 Waterproof polypropylene case for transportation of 12 wire microphones and commutation to them. Made of high molecular weight polyethylene by injection molding. Has high resistance to mechanical and impact loads (MILITARY STANDART). Sealed. The degree of protection – IP67. On the case, new locks TSA (nylon lock of high strength) are installed. Foam inserts with places for microphones. Exterior Dimensions: 21.93 x 13.98 x 9 inches. GATOR GM-5W – a case for microphones. This model is designed specifically for 5 radio systems. The case is made of durable nylon, which protects against external influences. Also, there are stitched carrying handles and a shoulder strap. There are external and internal additional pockets for accessories. A volume compartment for 5 receivers. External dimensions: 17 x 12 x 6 inches. 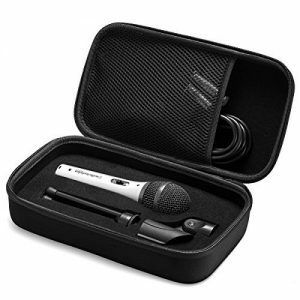 This high-quality microphone case will protect your device from damage during transportation. 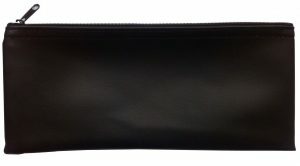 Bag dimensions: height 4.5 “x length 9.7”. This size of the case accommodates most standard microphones, such as Shure SM58 and Beta58A. The high quality of the product guarantees you the safety of the microphone. In addition to microphones, in the bag, you can put adapters, clamps for microphones, batteries, etc. Having a BOLY Pouch Bag with a zipper in your arsenal, your accessories will always be safe! This case for the Audio-Technica ATR2100 microphone is made of quality Hard EVA, which guarantees the durability of the product. Shockproof, waterproof, stylish. 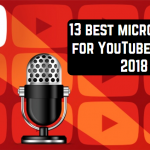 To safely carry the microphone and its components, all the accessories in the case fit tightly to the foam cushion, the microphone does not shake, therefore will not be damaged. The case is equipped with an additional compartment with a mesh pocket for other accessories. For the convenience of transportation, the case has a rubberized handle. 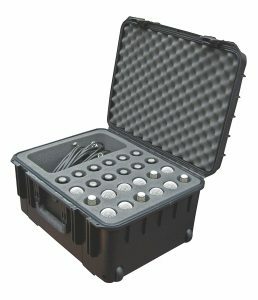 This model is designed for storage and safe transportation of microphones and their accessories, including cables, clamps, adapters, memory cards, etc. In addition to the main compartment, there is an additional one on the cover. The dimensions of the case are 11.5 x 6.0 x 3.25 “, which allows standard microphones to fit easily in it. For greater protection, there is an inner layer of foam padding inside the case. In order to avoid scratches, the inner part of the case is lined with faux fur. And ballistic nylon 600D will protect the microphone from dust and moisture. For carrying on the body there is a comfortable handle. A case for 24 microphones and switching to them of increased strength, hermetic. Made of high molecular weight polyethylene by injection molding. High resistance to mechanical and impact loads MILITARY STANDART,. Sealed.The degreee of protection IP67. On the case are installed new locks TSA (nylon lock of high strength). The cases vary in internal dimensions, material, cost, and weight. Covers can be used for one microphone radio system. The products are strong enough, compact, lightweight. 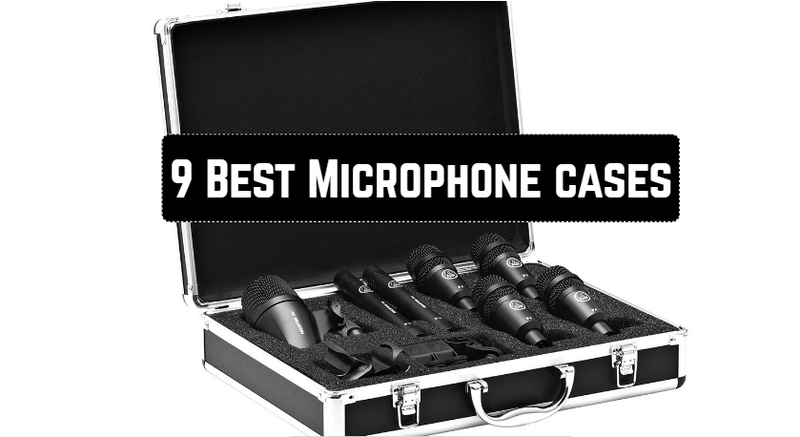 To transport several microphones, it is better to choose hard cases. Some models have extra pockets, a compartment for batteries. 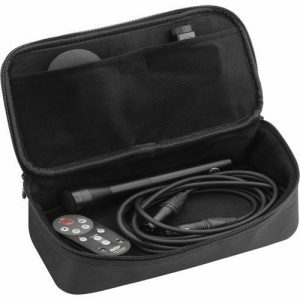 All cases intended for the transport of microphone radio systems have special handles or belts. There are such hard cases that are suitable for transporting a large number of audio equipment. For example, the model GM-15 TSA from the manufacturer Gator accommodates 15 microphones, has reliable TSA locks and an ergonomic handle. 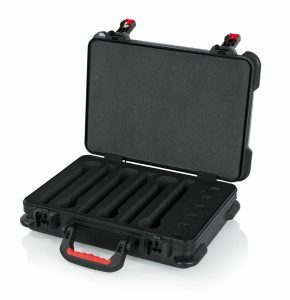 Case Gator GX-33 is suitable for transportation and storage of several microphones and racks. Each case has its own characteristics, dimensions. When choosing cases and bags, this must be taken into account. All presented accessories are of high quality, beautiful design, and practicality. Such products will save expensive equipment from excessive humidity, mechanical damage. Special accessories ensure safe transportation of microphones over long distances, their safe storage.